The Central Marine Fisheries Research Institute initiative will help in eliminating the middlemen, who take away a sizeable share of the fishermen and fish farmers' profit. KOCHI: The CMFRI fisheries institute on Tuesday came out with a multi-vendor e-commerce website and a mobile app to help fisher folks sell their products online directly to the customers. The website and mobile app named 'Marine Fish Sales' was developed under the National Innovations on Climate Resilient Agriculture (Nicra) project of the Kochi-headquartered institute, with an aim to raise the income of the coastal community. 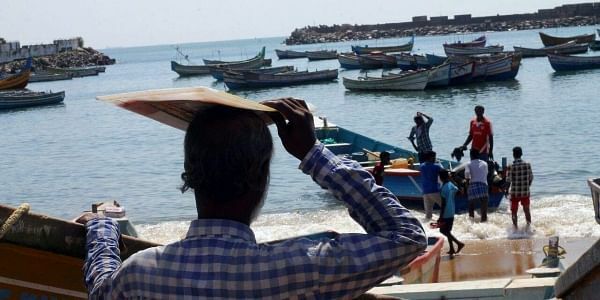 The fisher community in the state was devastated in 2017 after Cyclone Ockhi struck off the coast of Kerala and Tamil Nadu, killing many fishermen out on the sea and destroyed their gear and boats. The Marine Fish Sales portal is an interface of multi-vendors and consumers with CMFRI performing the administrative role between them. Fishermen and fish farmers who want to sell their catch online may form Self-Help Groups (SHGs) and register with the platform. CMFRI will monitor the vendor profiles, order status and sales. Customers can place their order after choosing the fish, either cleaned or raw, from respective farmers or fishermen groups. "The e-commerce platform developed by the Nicra project of the CMFRI will be greatly beneficial to the fishermen and fish farming community to increase their income and will not have to face exploitation by the middlemen," said P.U. Zacharia, of the Nicra project. "Quality and fresh fish at a reasonable price would be made available for online sale. Fresh farmed fish such as sea bass, pearl spot, tilapia, red snapper, cobia cultured in ponds and backwaters along with various fish caught daily from the sea by fishermen will be available. "The facility will boost selling of fresh fishes, both cultured and captured, with higher profits to the fishermen and fish farmers," Zacharia said. Trial sales were also conducted after the CMFRI provided training to the fisher folks to familiarise with the e-commerce website and mobile app. The mobile app can be downloaded from the Google Play Store. very cumbersome app. does not have features which can be easily used. the UI is kinda like lookin at a strange physics explanation..